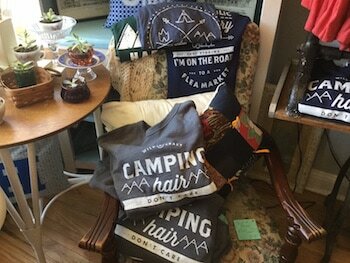 We're all about local spirit and Ohio-made apparel. 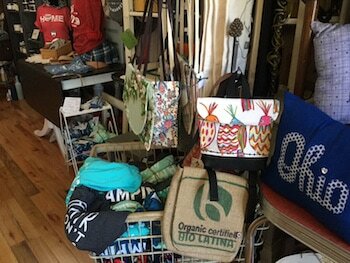 We've got local t-shirts, handbags, crocheted items includes hats, scarves and baby gear! 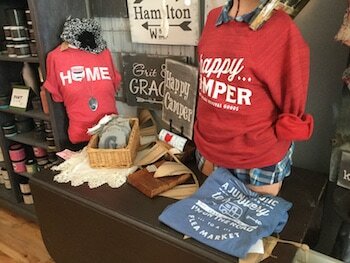 The Happy Camper line of t-shirts and sweatshirts is fun and Ohio-made by one of our favorite local designers! Our store is located on North 7th Street one block from High Street in Hamilton.